SLICED Chorizo Bellota Acorn-fed iberian sausage (CHORIZO ibérico de bellota). Spiced Sausage seasoned with natural spices , this sausage elaborated in the traditional manner with pure Iberian pork meet. 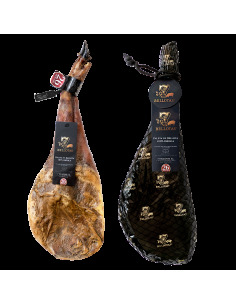 CHORIZO ibérico de bellota (Cular) No Artificial Colourings, No Gluten, No Lactose 100% Natural CHORIZO sausage comes from a Pure Bred IBÉRICO Pig feed on acorns. Acorn-fed Iberian Sausage Chorizo 1X80gr. Chorizo ibérico de Bellota Acorn-fed iberian sausage (CHORIZO ibérico de bellota). Spiced Sausage seasoned with natural spices , this sausage elaborated in the traditional manner with pure Iberian pork. CHORIZO ibérico de bellota (Cular) No Artificial Colourings, No Gluten, No Lactose 100% Natural CHORIZO sausage comes from a Pure Bred IBÉRICO Pig feed on acorns. Chorizo ibérico de Bellota Acorn-fed iberian sausage (CHORIZO ibérico de Bellota). Spiced Sausage seasoned with natural spices, this sausage elaborated in the traditional manner with pure Iberian pork meet. 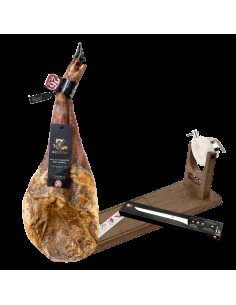 CHORIZO ibérico de bellota (Cular) No Artificial Colourings, No Gluten, No Lactose 100% Natural CHORIZO sausage comes from a Pure Bred IBÉRICO Pig feed on acorns. 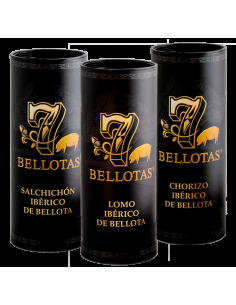 Chorizo 7 Bellotas® BELLOTA Whole Piece + 1,1 Kg.. SLICED Salchichón IBÉRICO Bellota Acorn-fed iberian sausage (Salchichón ibérico de bellota). Spiced Sausage seasoned with natural spices , this sausage elaborated in the traditional manner with pure Iberian pork. 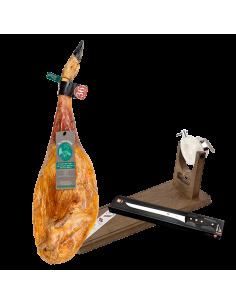 Salchichón ibérico de bellota (Cular) No Artificial Colourings, No Gluten, No Lactose 100% Natural 7 Bellotas® IBERICO sausage comes from a Pure Bred IBÉRICO Pig feed on acorns. 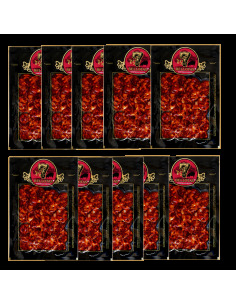 Salchichón 7 Bellotas® BELLOTA 1X80gr. Salchichón ibérico de bellota Acorn-fed iberian sausage (Salchichón ibérico de bellota). Spiced Sausage seasoned with natural spices , this sausage elaborated in the traditional manner with pure Iberian pork. 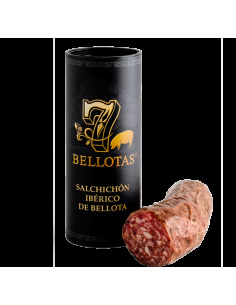 Salchichón ibérico de bellota (Cular) No Artificial Colourings, No Gluten, No Lactose 100% Natural 7 Bellotas® IBERICO sausage comes from a Pure Bred IBÉRICO Pig feed on acorns.